Admission: Free to attend. Some events have a fee. 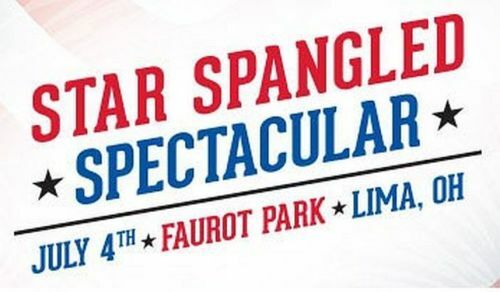 The Lima Star Spangled Spectacular attracts over 30,000 spectators to Faurot Park on July 4th each year to celebrate our nation’s independence. The event begins when over 1,500 runners take off in the area’s largest run/walk the Freedom 5K and then continues with a full day of family-oriented, nonalcoholic fun, including mechanical rides, arts & crafts, recreational sports tournaments plus live entertainment throughout. The event culminates with the area’s largest display of fireworks over the sounds of live patriotic music by the Lima Area Concert Band! Fireworks are free; some events/activities may include a fee. Schedule of events can be found on their website at www.lima4th.com.